Cannabis contains hundreds of biologically active molecules. 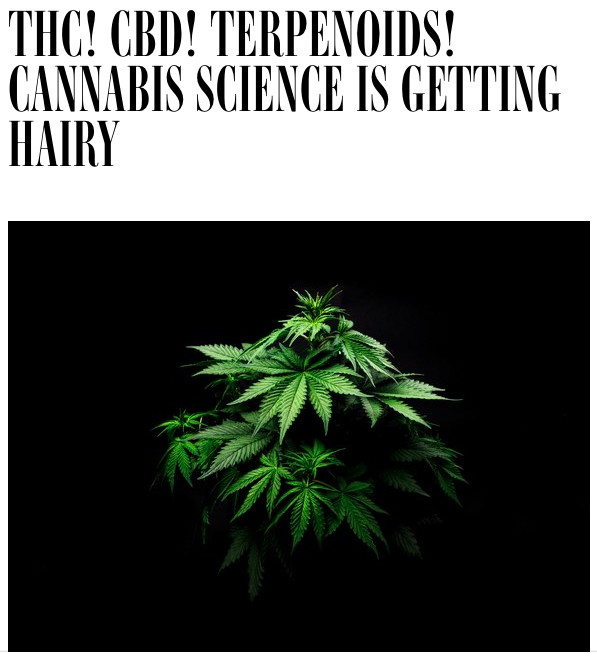 There are three classes of compounds that are of the most interest to doctors and scientists: cannabinoids, terpenoids (or terpenes), and flavonoids. Many of these compounds have demonstrable health benefits, by acting as either anti-inflammatory, anti-tumor, antioxidant, or pain relieving agents (among other things). Thus; when these molecules are all consumed at the same time (a whole plant cannabis preparation), rather than in isolation (concentrates), the health benefits appear to be enhanced. This phenomenon is commonly referred to as the ensemble, or entourage effect. Read more at Wired, where our co-founder Dr. Adie has been quoted extensively.